Family picnicking in the Central Courtyard ~ Bring a blanket, lunch, and non-alcoholic beverages. Bags/baskets/coolers will be checked. Mission Matters craft station~ Crafts may be available until closing. 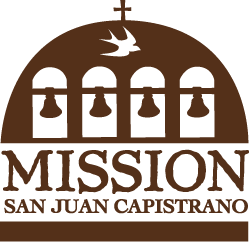 This event is free for Mission Members or with paid admission to the Mission. To develop an institution to teach and disseminate educational materials relating to the important role of Honey bees and other pollinating insects in maintaining a stable and healthy ecosystem through apiculture education, publications, demonstration, and lectures. 1. To educate its members, the public and youth through lectures, demonstrations and other educational materials about the important role honey bees and other pollinating insects have in agriculture and the environment. 2. To educate its members in the art and science of beekeeping in such a manner that they may have thriving, gentle, healthy, honey producing hives. 3. To encourage and promote better beekeeping practices. 4. To work with Cities and Counties to create zoning legislation which will allow responsible beekeeping. 5. To foster interest in beekeeping. 6. To invest in grants for the betterment of beekeeping. 7. To foster markets for beekeeping products. 8. To foster cooperation between members, beekeepers and other agricultural entities to further improve beekeeping locally and abroad. Susie Vanderlip is a Monarch Butterfly Citizen Scientist and a passionate gardener. She has raised hundreds of Monarch butterflies in her garden in Orange County and has spent nine years studying, testing, speaking, photographing and writing about them. Susie is author of a children’s photo storybook and movie all about monarch butterfly life cycle, The Story of Chester, the Monarch Caterpillar/Larva. Susie has 25 years’ experience as a professional speaker and has earned the Certified Speaking Professional designation from the National Speakers Association. She is also an inductee into the prestigious Speakers Hall of Fame. Susie loves entertaining children thru adults with her videos, photos and stories about the many interesting and remarkable details of the monarch butterfly life cycle. Come and bring the kids. Be inspired to plant a butterfly garden at your home.